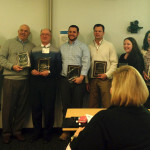 Awards from National Grid- Weston & Sampson received two awards from National Grid for significant contributions under the Project Expediter program. National Grid-Approved Energy Project Expediter (PEX)- Weston & Sampson is approved by National Grid as an associate energy Project Expediter (PEX). 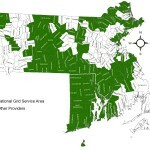 Through this relationship, we offer our suite of energy conservation services to public and private clients located in any of the National Grid-owned electric or gas utility service territories in Massachusetts, Rhode Island, and New York.